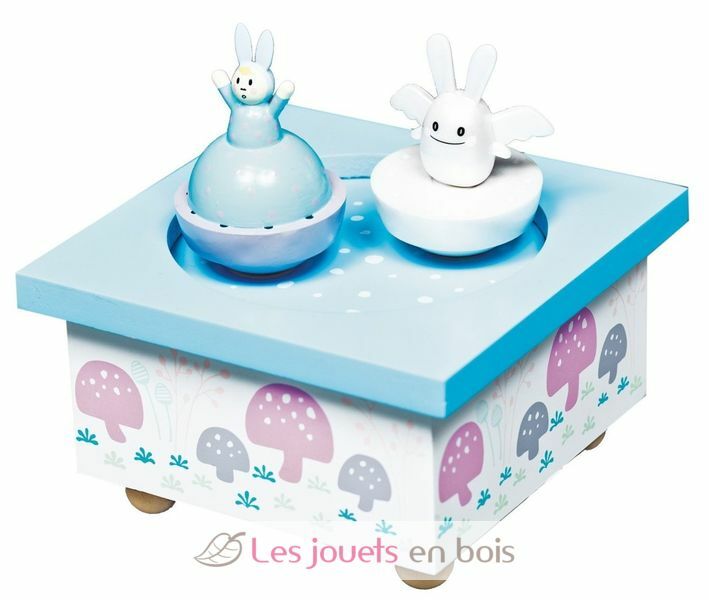 Pretty wooden music box with an angel and a rabbit. They start turning as soon as the music starts. Melody of this lovely music box: Eine Klein Nachtmusik - W.A. Mozart. Music box Dimensions: 11.5 x 11.5 x 7 cm. A decorative wooden piece made by Trousselier. Item number S95007B.